Performance Time: Approximately 10 minutes, 7 pgs. COMEDY. In “Breaking Up is Hard to Do,” two teens decide to break up with their BFF because she died and turned into a zombie. 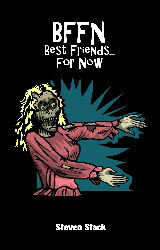 Included in the short play collection "BFFN: Best Friends Forever."